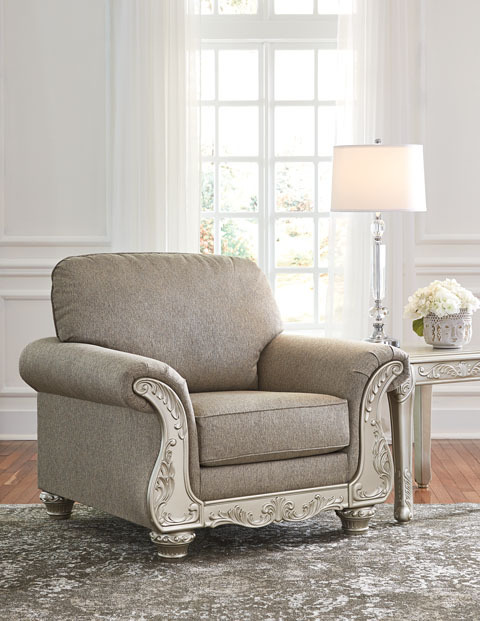 Loving traditional style doesn’t mean you have to play it so safe. 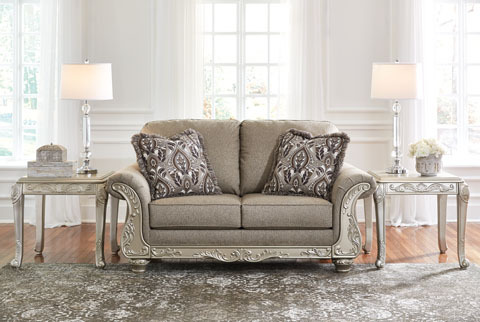 Embrace a touch of glitz and glam in your life with the Gailian sofa. 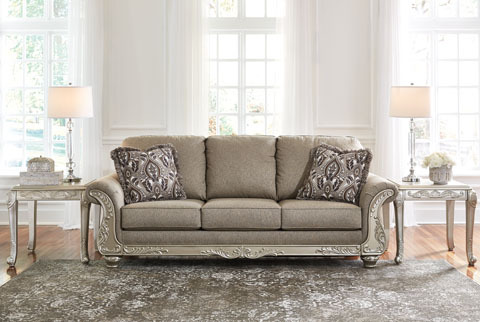 In lieu of the classic wood look, this sofa’s scrolled feet, railing and fancifully scrolled arm panels are given a metallic touch that’s a rich complement to the sofa’s smoky gray upholstery. 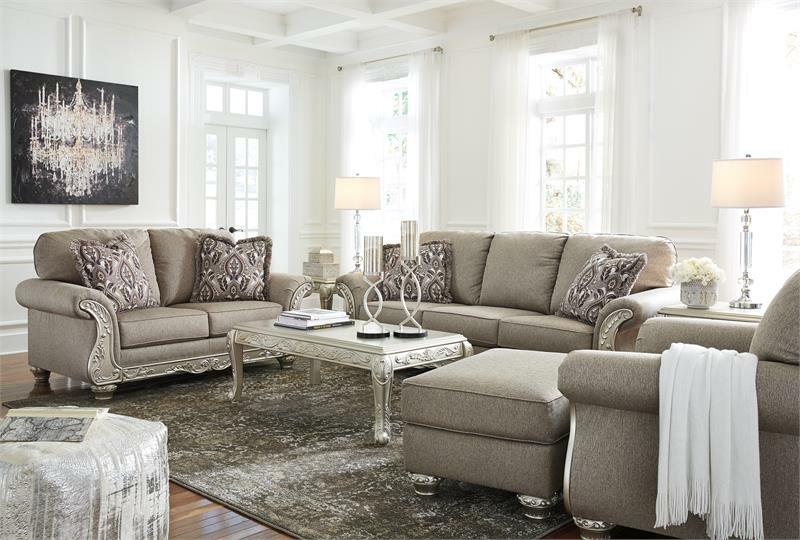 Pair of damask pattern fringed pillows in steely tones are the perfect accompaniment. Frame constructions have been rigorously tested to simulate the home and transportation environments for improved durability. Components are secured with combinations of glue, blocks, interlocking panels and staples. Seats and back spring rails are cut from mixed hardwood and engineered lumber. Stripes and patterns are match cut. 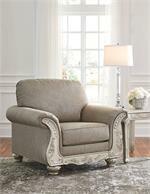 All fabrics are pre-approved for wearability and durability against AHFA standards. 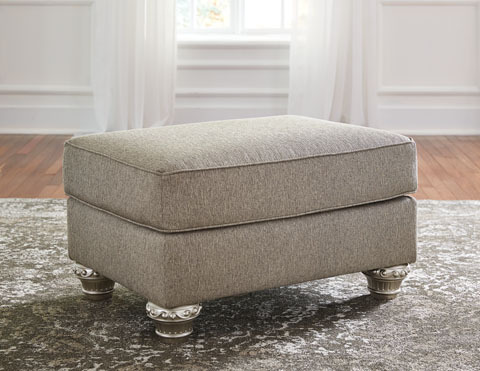 Cushions are constructed of low melt fiber wrapped over high quality foam. 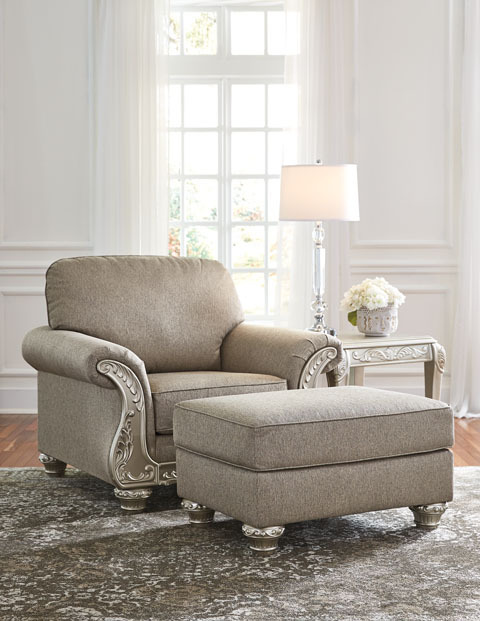 Style features showood front rail, arm panels and legs. Delivered in 2 to 4 Weeks ! ! !